Posted: September 18, 2015 8:09 a.m. Updated: September 18, 2015 8:09 a.m. 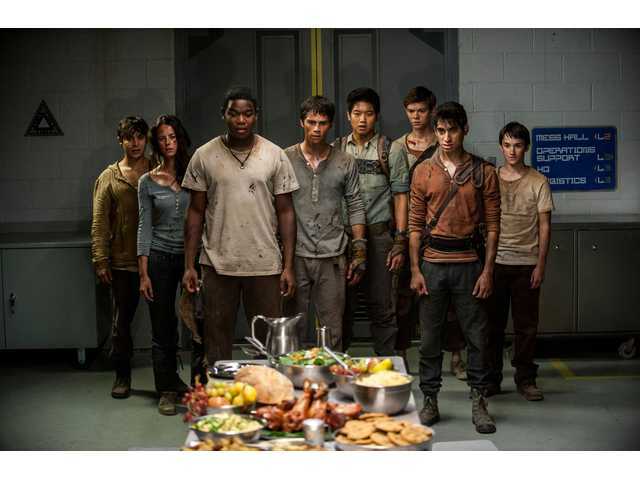 The "Maze Runner" Gladers (from left) Min Ho (Ki Hong Lee), Thomas (Dylan O'Brien), Newt (Thomas Brodie-Sangster), Frypan (Dexter Darden) and Teresa (Kaya Scodelario) face their greatest challenge yet: searching for clues about the mysterious and powerful organization known as WCKD, in "Maze Runner: The Scorch Trials." If you saw last year's "Maze Runner" but haven't read all of author James Dashner's source material, you may be surprised to find you have a zombie franchise on your hands. 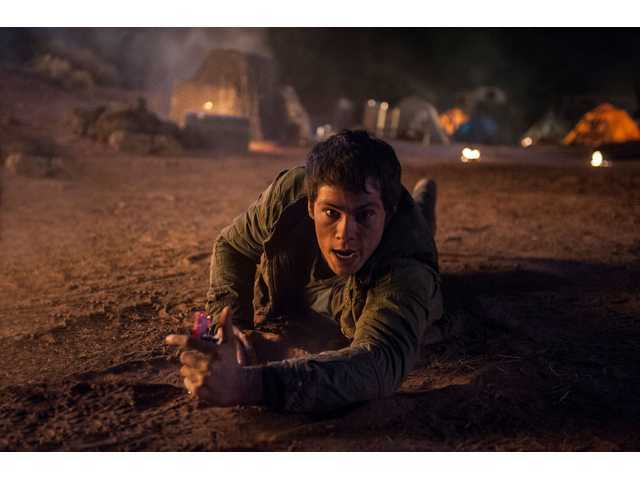 "The Scorch Trials" is the follow-up to last year's film about a group of memory-wiped teenage boys trapped in a vast labyrinth. The first film got the boys out of the maze and free of the diabolical clutches of WCKD, the government division behind the maze experiment. But strange events suggest otherwise. The fortress is populated by refugees from other mazes, and one of them (Aris, played by Jacob Lofland) shows Thomas that he and his peers are still test subjects. WCKD is still in charge. This launches the heart of the plot: a dramatic escape into the Scorch, the surrounding post-apocalyptic wasteland, all in the hopes that a rumored group of survivors in the nearby mountains will give Thomas and the others refuge. But to reach safe haven, they will have to battle desertlike elements, dangerous ruins and the rabid subhumans that stand in their way. It's a simple plot that lends itself to some impressive set pieces and intense action sequences. Elaborate and dramatic ruins, surrounded by swirling sand dunes, provide the teens with a new kind of labyrinth to navigate. In one scene, Thomas and a survivor named Brenda (Rosa Salazar) have to make a treacherous climb through a half-toppled skyscraper. By pushing into horror territory with some claustrophobic and exciting zombie sequences (one of which takes place in an abandoned mall, no doubt as a nod to "Dawn of the Dead" fans), "Scorch Trials" mixes another popular genre into its young adult narrative. At the same time, the shift from the centerpiece of the maze to a more traditional post-apocalyptic good guy/bad guy dynamic robs "Scorch Trials" of some of the uniqueness that made "Maze Runner" stand out from other young adult series such as the Hunger Games and Divergent. It's still exciting and well produced, but it's not as compelling. 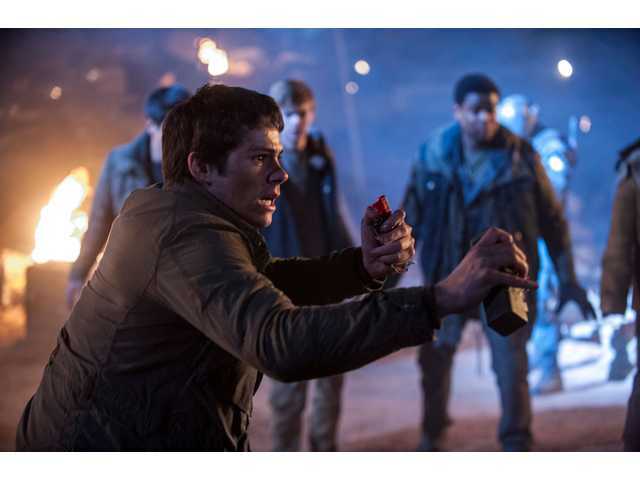 It's also more clearly targeted at young adults, since even after the introduction of several adult characters, "Scorch Trials" continues to focus on the youngsters and their teenage line of thinking. Janson isn't developed as much more than a two-dimensional bad guy, and resistance members such as Mary (Lili Taylor) and Jorge (“Breaking Bad’s” Giancarlo Esposito) still largely defer to their much younger counterparts. 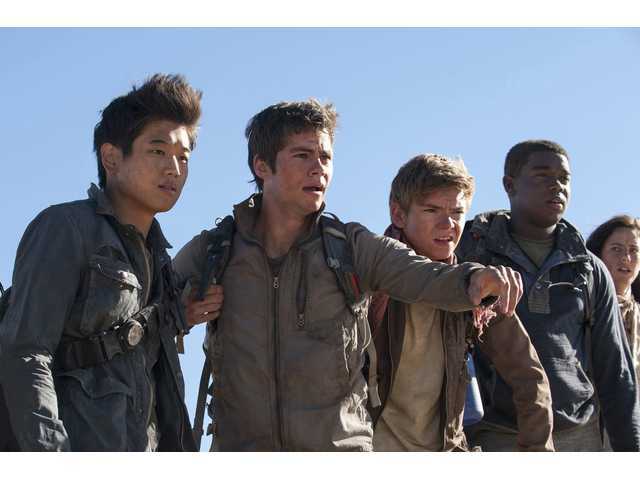 Like last year’s installment, “Scorch Trials” is also fixated on gearing up audiences for another sequel. As the third act draws to a close, director Wes Ball seems more intent on setting up a third installment to the series than giving the current film a satisfying ending of its own. "The Scorch Trials" is rated PG-13 for intense sequences of sci-fi horror and action violence, as well as profanity (including an almost comic fixation on the S-word).